Police and security had to intervene to help the Danish immigration and integration minister escape a potential assault by a crowd of rejected asylum-seekers, indignant over her decision to focus attention on only one family in the deportation facility. On what was supposed to be a photo op on Friday for Danish Minister for Immigration, Integration and Housing Inger Støjberg at the Sjælsmark deportation center on the island of North Zealand, things went awry as a group of failed asylum applicants encircled her, Danish broadcaster DR reported. A crowd of around 40 disgruntled residents of the center, all awaiting deportation, confronted the minister as she was about to drive away. “When we came outside after the visit, the atmosphere started getting aggressive. 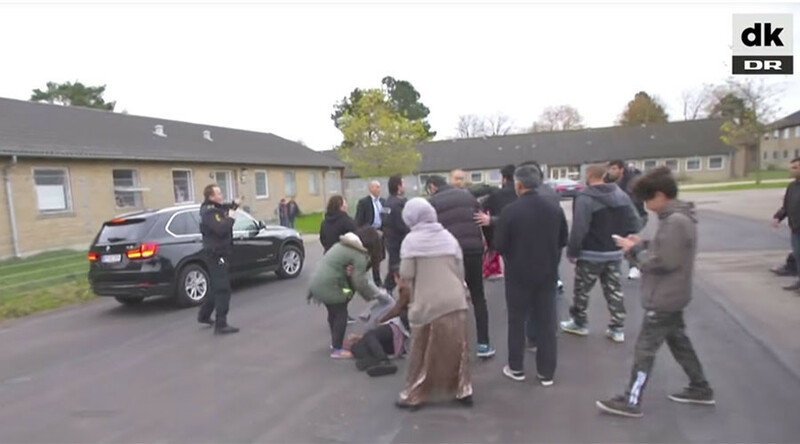 Residents started gathering around Støjberg,” journalist Martin Torpe, who witnessed the scene, said as cited by DR.
At that moment, the minister’s security detail and police began to push through the crowd as they escorted her to the car. The crowd became more enraged and attempted to prevent her from leaving by blocking the car. In a video of the incident posted by DR, a woman can be seen jumping under the wheels of the moving vehicle, which does not stop. Police said the woman was only slightly hurt and her injuries are believed to not be serious. The minister was joined by several lawmakers and journalists on the visit and was filmed for DR. 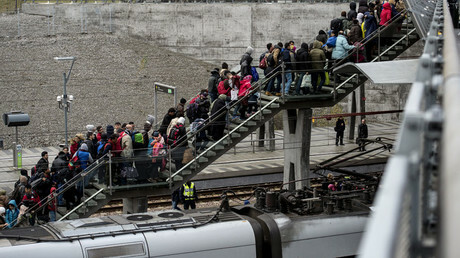 The unrest was reportedly triggered by Støjberg’s decision to speak with only one family of Kurdish asylum-seekers, with rumors circulating that the family would be granted asylum afterwards. “They had baked cakes, bought flowers and made signs on which the words ‘we are not criminals’ are written. But we are all [considered to be] problems, so all she did was go in and talk to one chosen family,” Valid Rahmatti, one of the residents of the center, told Politiken. Following the incident, Støjberg thanked her security and driver for keeping her safe. “Without you it could have ended completely wrong,” she wrote on Facebook. Denmark took in around 21,000 refugees at the height of the European refugee crisis in 2015. The following year, it only accepted 6,072 people and cut social benefits for refugees in half. As a result of the policy change, 532 asylum-seekers voluntarily left the country last year.